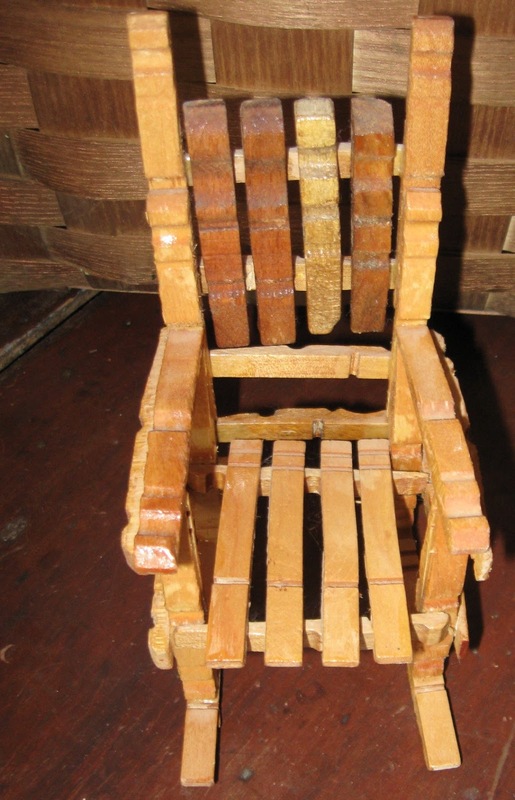 The above little toy chair is a good example of someone's handiwork. It is only five inches tall. I would imagine, if I may, that it was made by an older male, probably a father for his sweet girl child. And may I also assume that is was a present, perhaps in the 1930s, when money was tight. Given my assumptions I continue with the idea that he painted the chair with some leftover paint that he found around the house to make sure it was real pretty. And lastly, I presume that the young girl played with it for several years wearing the paint off in all the spots her little hands constantly touched. Organic farmers are fighting for their livelihoods against the GMO seed giant Monsanto. Monsanto's pollen, from their GMO field crops, infect non-- GMO crops through wind and animal dispersal. Many times this results in the conventional farmer's crops to fail. In what is an unfair playing board -- Monsanto then turns around and slaps a lawsuit on the farmer, who inherited the GMO contaminated crops unbeknownst to him/her, for growing Monsanto patented seeds. Monsanto sues the farmer for thousands of dollars and usually wins. Many times bankrupting the farmer. The Union of Concerned Scientists has this to say about genetically engineered seeds (GMOs) in agriculture; " (it) has failed to deliver on many of its promised benefits, and has produced some serious unintended consequences. Yet the USDA seems determined to regulate GMOs as little as possible." Today about 90 percent of conventionally grown soybeans, corn, canola and sugar beets are grown with GMO seeds. 70 percent of food in grocery stores have GMO ingredients. The Triple Pundit blog is a storehouse of information on Mansanto and their infamous seeds. At the bottom of this post is a press release issued by the Organic Seed Growers and Trade Association that outlines the lawsuit against Monsanto genetically modified (GMO) seeds by American farmers. Activist Willie Nelson is part and parcel of this organization. This is one of the best videos I have viewed about Monsanto and its history of industrial chemicals. I wish that everyone could take the time to watch it. It is well documented and presented. New York, New York - February, 2 2012 - It was standing room only as family farmers from around North America filled Federal Court Judge Naomi Buchwald's courtroom in Manhattan on Tuesday, January 31. The topic was the landmark organic community lawsuit OSGATA et al v. Monsanto and the oral argument Monsanto's pre-trial motion to dismiss which it filed last July. 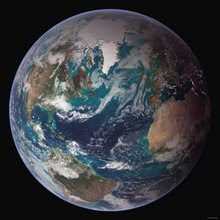 Plaintiffs from at least 21 States and Provinces were in the courtroom including Oregon, California, New Mexico, Colorado, Kansas, Nebraska, South Dakota, Saskatchewan, Missouri, Iowa, Ohio, Florida, North Carolina, Virginia, New Jersey, Pennsylvania, New York, Connecticut, Massachusetts, Vermont and Maine. groups including Occupy Food Justice. A depiction of Monsanto's infamous 100 year history including Agent Orange, Dioxin, PCBs and now gene-spliced food was presented. Speakers addressed topics ranging from sustainable agriculture to risks associated with GMOs to issues of good food and food justice. After the conclusion of the courtroom oral argument, the plaintiff farmers and their legal team from the Public Patent Foundation provided details and comments on the courtroom proceedings, to supporters at the Citizens' Assembly. President of lead Plaintiff, Organic Seed Growers and Trade Association, Maine organic seed farmer Jim Gerritsen was in the courtroom and witnessed the oral argument. Gerritsen had this to say, "Our lawyer did a good job explaining the current injustice farmers face. We have a right to be secure on our farms and to be free from Monsanto's GMO trespass. If we become contaminated by Monsanto, not only is the value of our organic seed crop extinguished but we could also be sued by Monsanto for patent infringement because their contamination results in our 'possession' of their GMO technology. We have farmers who have stopped growing organic corn, organic canola and organic soybeans because they can't risk being sued by Monsanto. It's not fair and it's not right. Family farmers need justice and we deserve the protection of the court." In a remarkable demonstration of solid support by American citizens for family farmers, co-plaintiff Food Democracy Now! has collected over 100,000 signatures on it's petition supporting the rights of family farmers against Monsanto. "For the past 12,000 years farmers have saved the best seeds each year to increase yields and improve traits for the food we eat," said Dave Murphy, founder and Executive Director of Food Democracy Now! "In 1996, when Monsanto sold its first patented genetically modified (GMO) seed to farmers, this radically changed the idea of how farmers planted and saved seed. Less than two decades later, Monsanto's aggressive patent infringement lawsuits have created a climate of fear in rural America among farmers. It's time for that to end. Farmers should not have to live in fear because they are growing our food." A complete 36 page transcript of the Oral Argument is available here. Riding along rural roads you are apt to run into all kinds of situations. 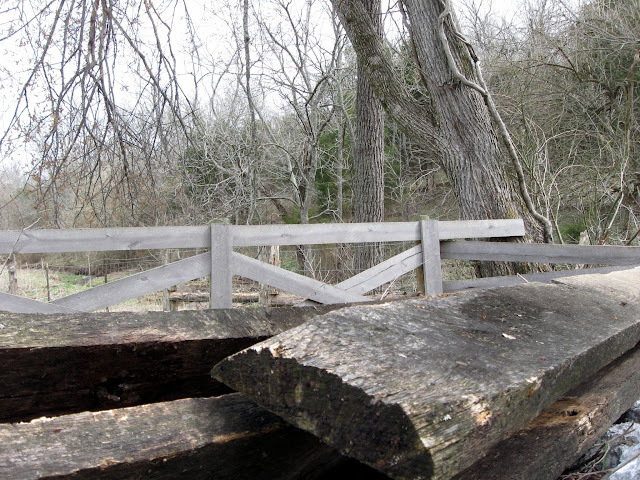 While travelling down one of my local one lane roads, I came to a halt by the deconstruction of a wooden bridge. This was literally the end of the road for me. I got out of my truck and took a few photos as I was amazed at the size of the old lumber that was being removed. The construction was pretty basic. Under the spam beams were metal sheaths aligned flat against each side of the banks. The beams rested on the upper lips of the metal sheaths -- this was their only support. Thick planks had laid crosswise on the beams but were now removed and were thrown off to the side of the road. No side rails for this bridge. I guessed the span was about as long as a large truck. That was it. 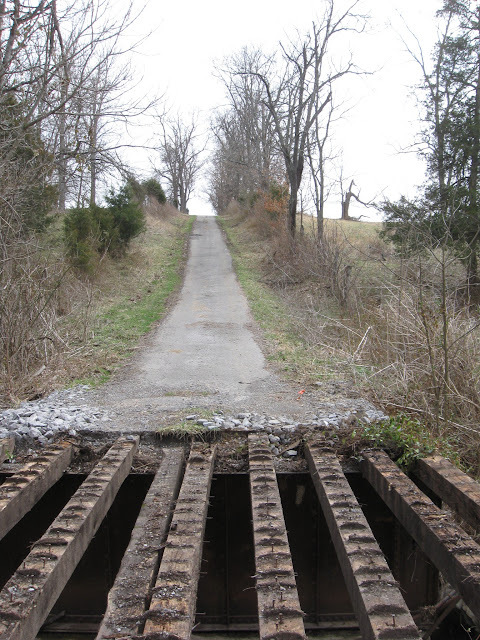 A rather primitive road-bridge but serving the public to cross over the creek. The creek was flowing low beneath the bridge. It looked rather small to me but probably in a good downpour it could gather itself and rise. I had no choice but to turn around and head back toward a main road. A truck was coming the other way and pulled over to let me pass by. I paused as I passed to question the man driving -- asking why the bridge was being taken apart. By coincidence, the man worked for the county and he told me the bridge was being replaced by a cement one. I later thought that the old bridge looked like it had many years left in it. 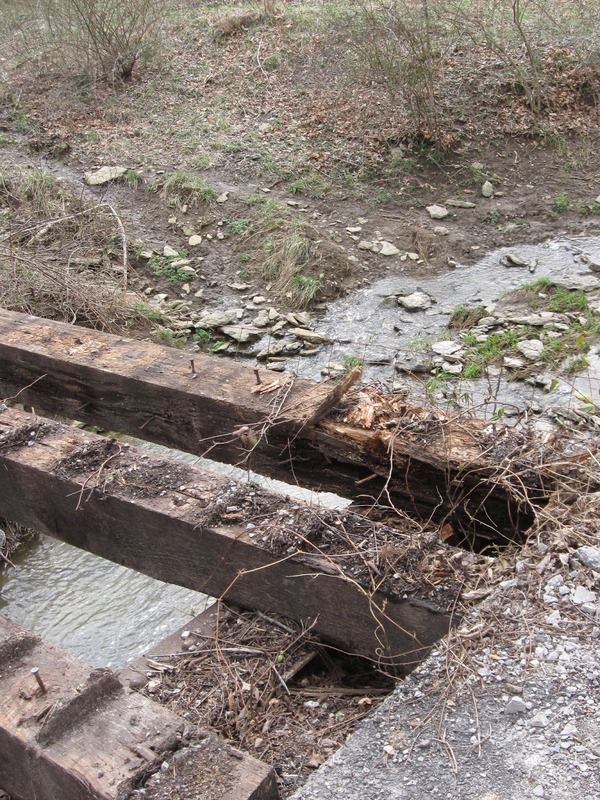 But what do I know about the viability of wooden bridge construction. What fun children in Kentucky schools had putting together a miniature rocking chair made out of clothespins. Some schools in Appalachian Kentucky taught the craft that replicated what children saw everyday on front porches all across the countryside where they lived. 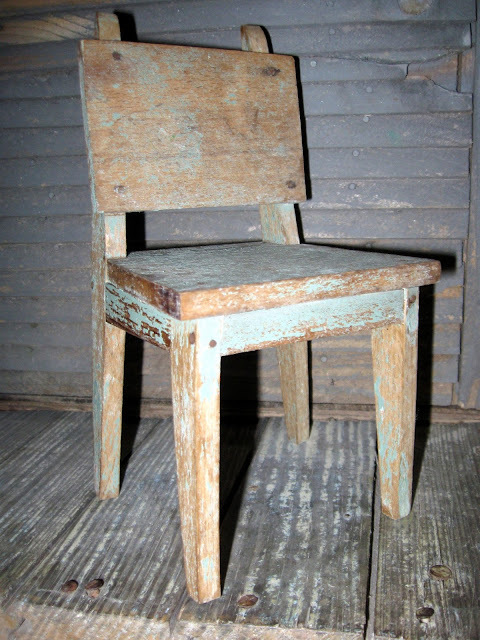 Most folks, that I have talked with about the chairs, said they made them in elementary school around the mid 1900s. They seem to all feel it was great making them especially as it gave them a break from their studies. Labels: APPALACHIAN, CHILDREN, CLOTHESPINS, ROCKER, SCHOOL. 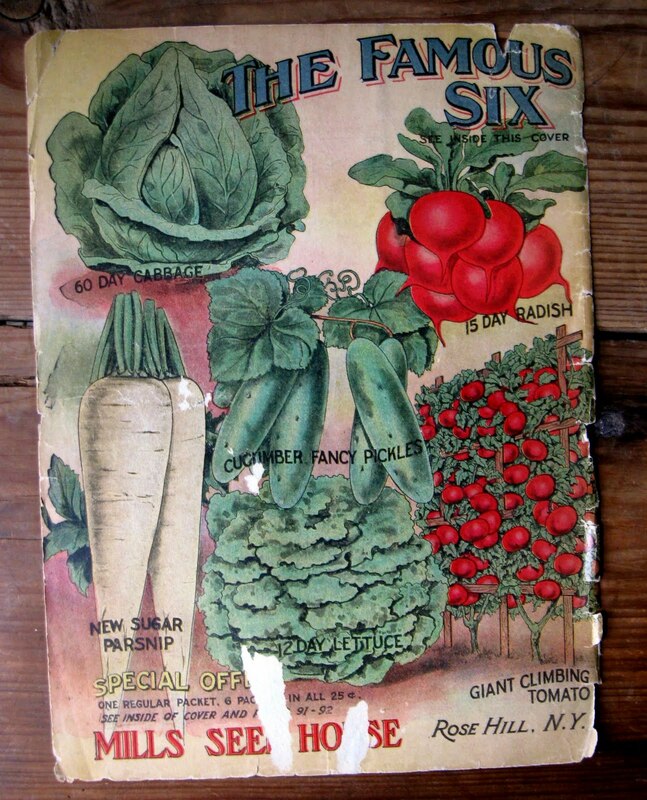 Garden planting time is drawing near. I don't plan on planting a garden this year as I am busy getting ready to move. 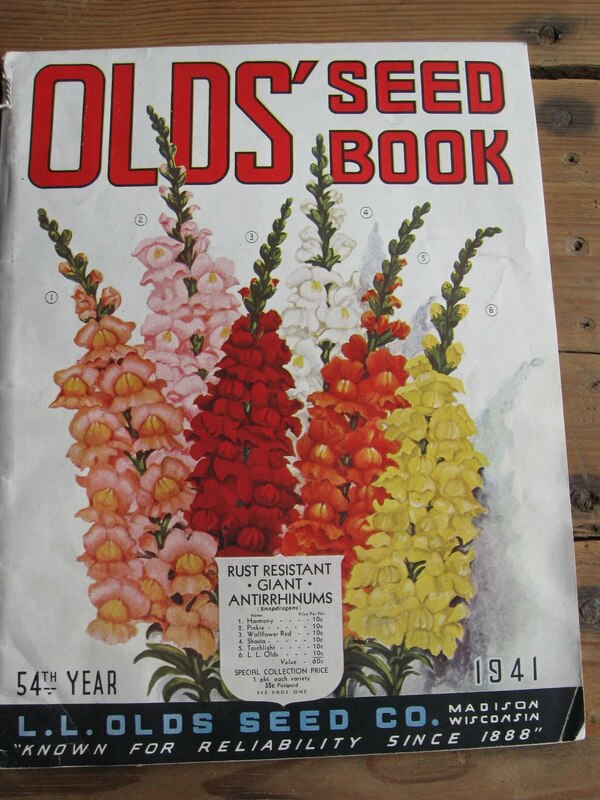 But, I still appreciate all things gardening, especially seed catalog graphics. Below are some catalogs that I picked up years ago. 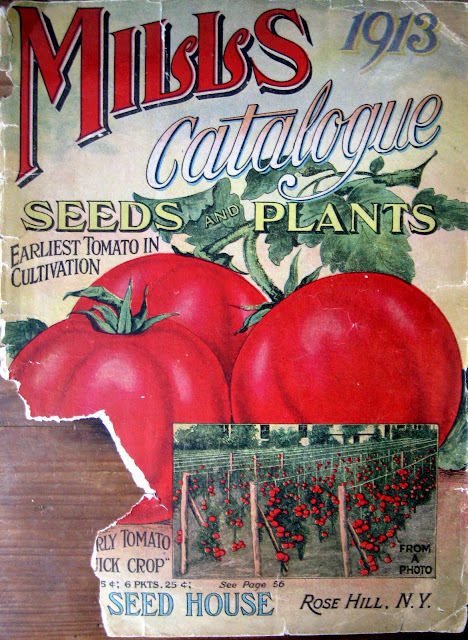 For a look at 10,000 more seed and nursery catalogs check out the Smithsonian Institution's collection. It includes trade catalogs from 1830 to the present. I wonder how many of you still subscribe to seed catalogs? If you do what are your favorite catalogs. 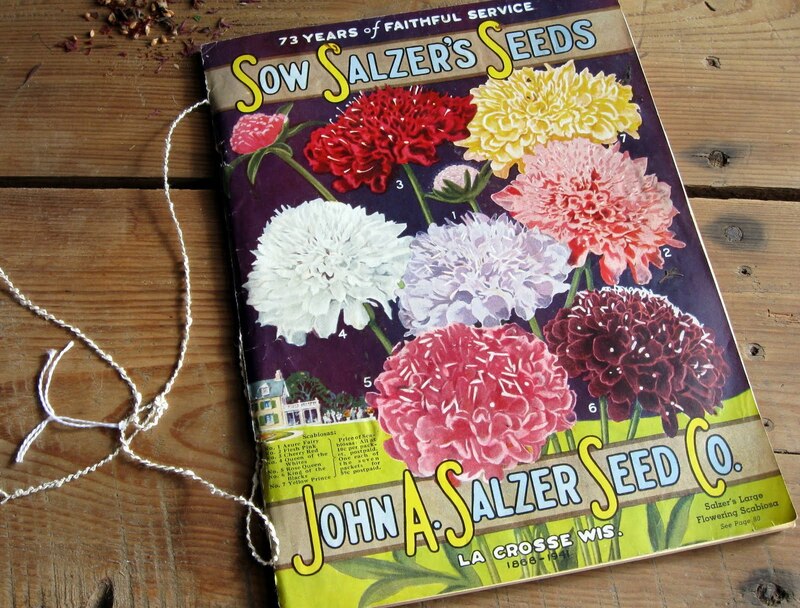 Or do you buy online, or buy both -- from catalogs and online for seeds? 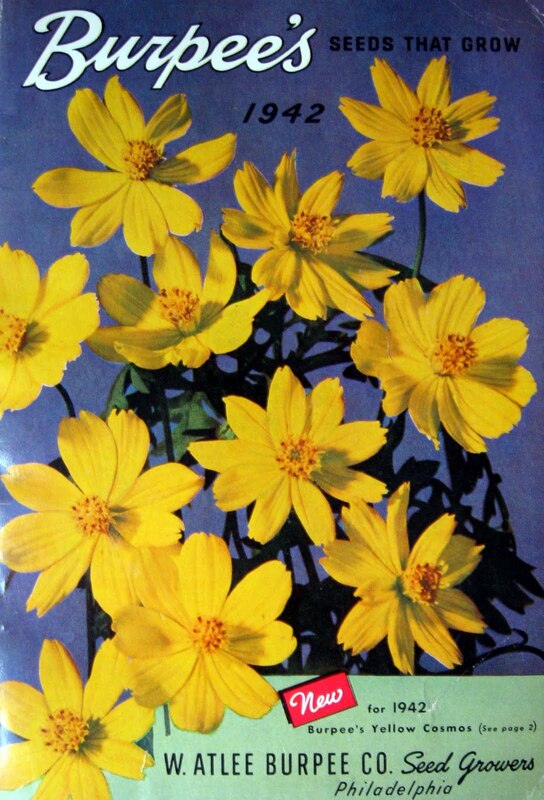 Maybe you buy plants or seeds at stores or save seeds? ALFRED J. BROWN SEED CO.
Labels: ALFRED J. 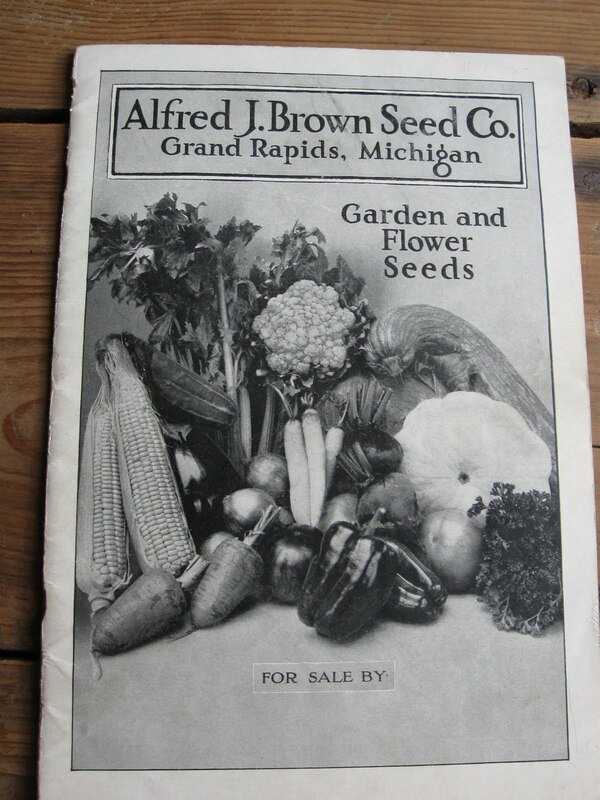 BROWN SEED CO, BURPEE'S, MILLS CATALOGUE, OLD'S SEED BOOK, SEED CATALOGS, SMITHSONIAN INSTITITUTION, SOW SALZER'S SEEDS. 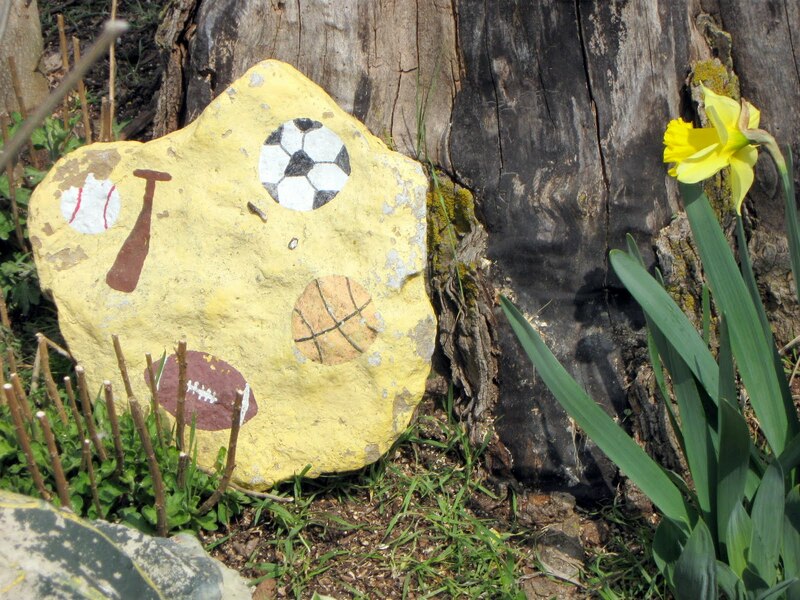 Early last spring I spotted a garden filled with decorative elements that had a certain type of folk quality. A woman was working around the garden so I stopped my truck. We introduced ourselves to each other. 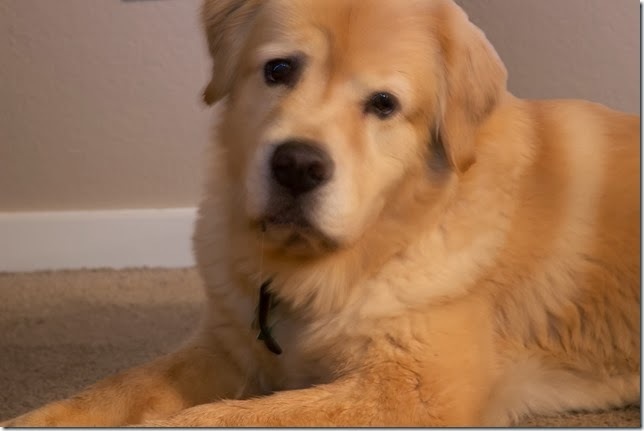 Her name is Bernice Logan, a sweet, lovely lady that lives in Garrard County, Kentucky. 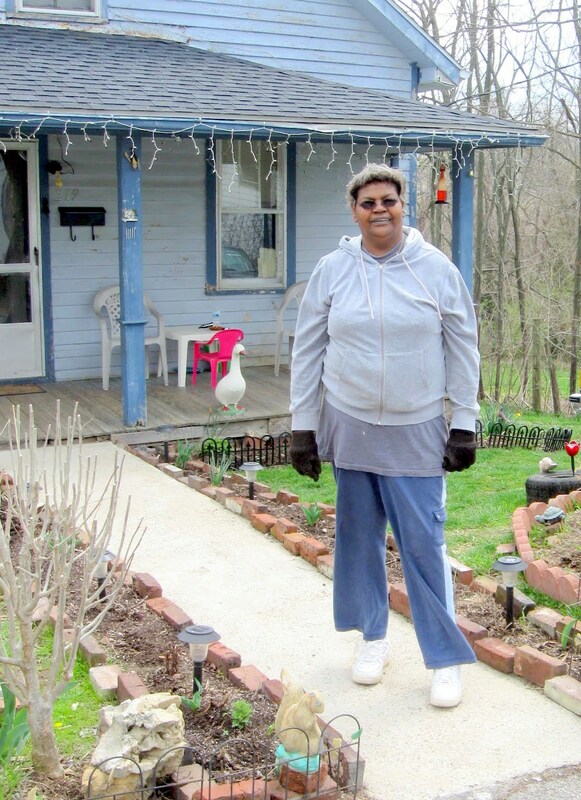 I was a stranger to her yet when I asked if I could photograph her and her garden -- she was glad to do so. She walked with me around her garden pointing out certain decorative elements and mentioned where she got them. It was early spring, green plant life was poking out of the soil -- the only blooms were those of daffodils. Many gardeners design their gardens unaware that their designs are intuitive -- a result of traditions ingrained from long-past garden influences. As Ms Logan showed me the various parts of her garden I got the distinct feeling I was looking at remnants of an African-American garden tradition. This tradition is described by garden researchers as a yard show. -- Circularity appeared as a strong visual in the overall design. Circles around trees, circular rocks, tire, cauldron. -- Overall it has a non-linear design -- more of a thoughtful process of, "I think it would look good right there." -- Material elements were a complexity of items. There was an abundance of statuary animals, a tire, a hanging iron cauldron, lights, garden edgings, bricks, and several others elements. -- Elements reflecting nature. 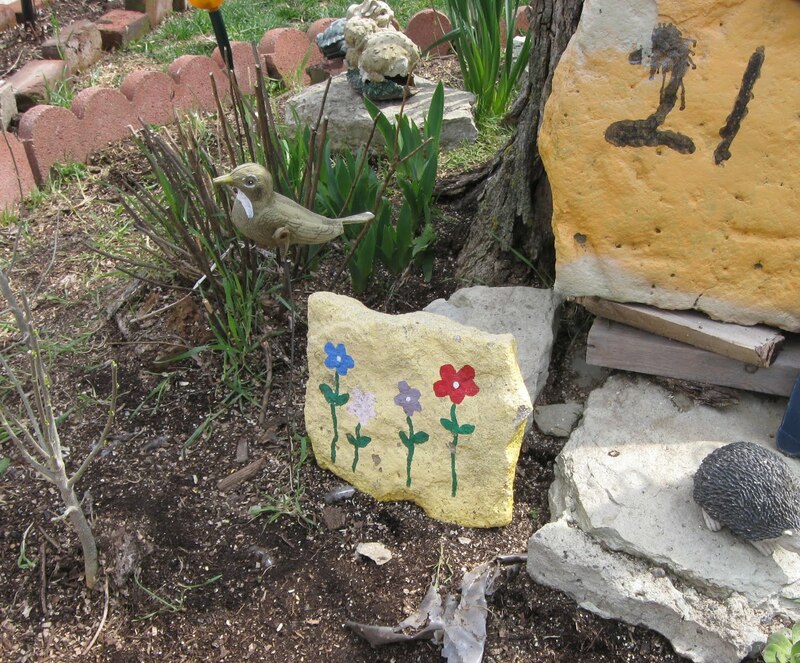 Rocks both painted and non-painted, a nest, and a hunk of a tree root arranged loosely from a cauldron tripod, plantings, decorated tree stumps. -- Light and/or reflective materials. Christmas lights surrounding the porch used year round. 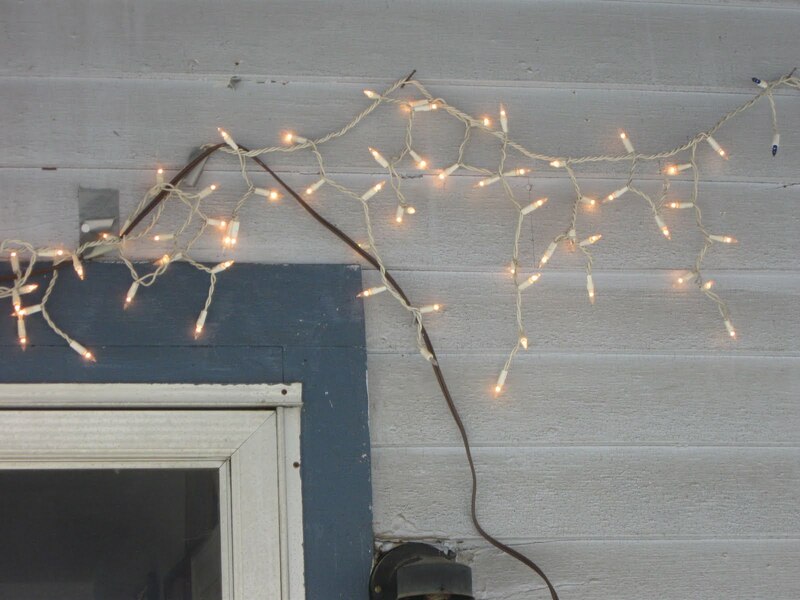 Also small ground hugging solar lights. 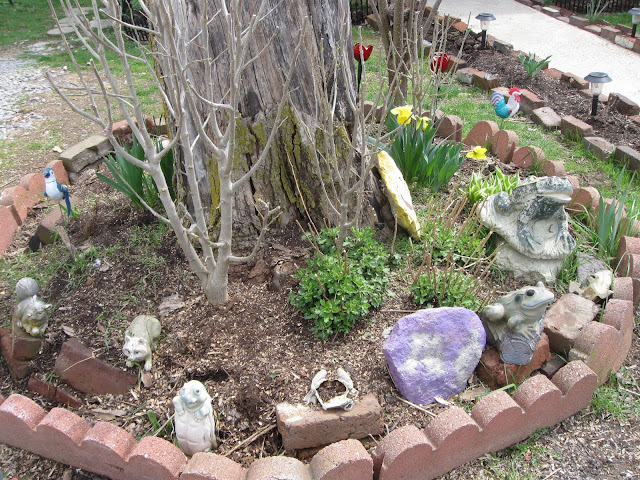 The elements described above in Ms Logan's garden, could have been found in typical traditions from her cultural past. 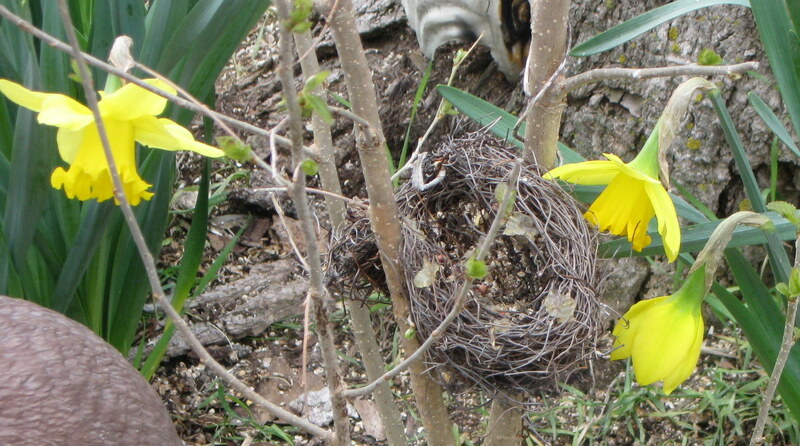 containing an abandoned nest -- found and placed there by Beatrice. A yard show is a compilation of elements plus more. Yard show gardens can be either spare or abundant in material items. Most yard show gardens seem to be located in the front yard. on the side of a circular old black tire. Certain meanings that were mysterious and spirtual were part of the yard show history. 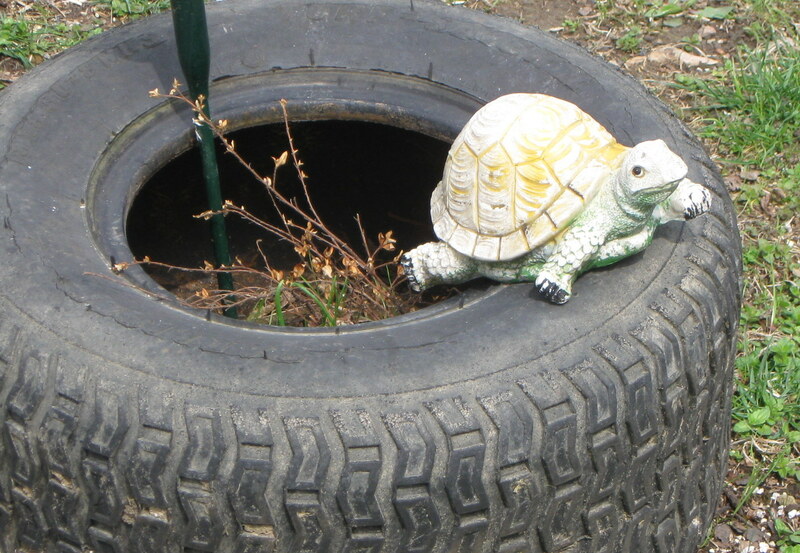 Examples of some meanings are that of a circle element, such as a tire, which relates to circles of the spirit, bottle trees to capture bad spirits, and plantings around the house of protective herbs. As gardeners in general, we are usually unaware of some of the traditions that we put in our gardens. As we put decades or even centuries between us and our inherited gardening traditions we become unaware how they influence us as we lay out our space. Look at how you design -- compare it to other gardens in your area and identify the similarities. 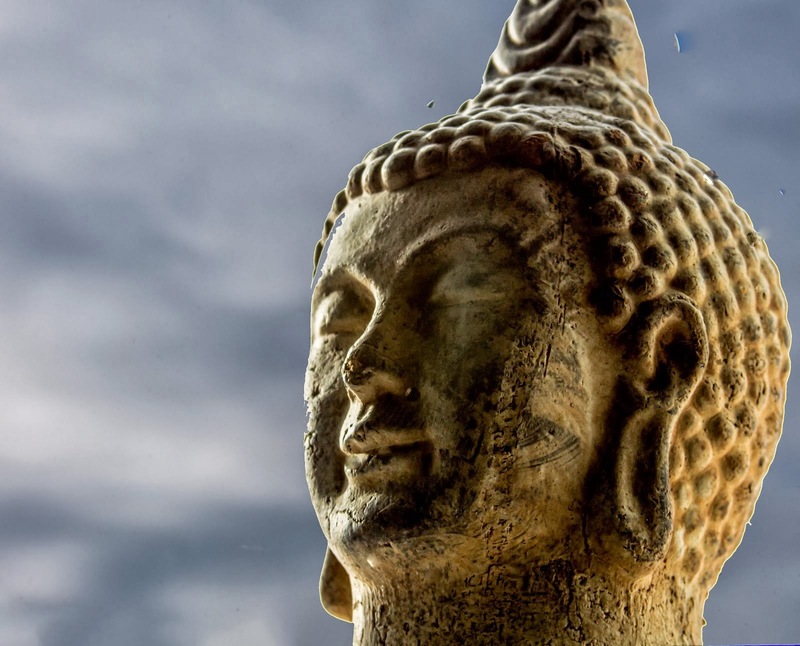 Perhaps these similarities are your intuitively designed traditions. 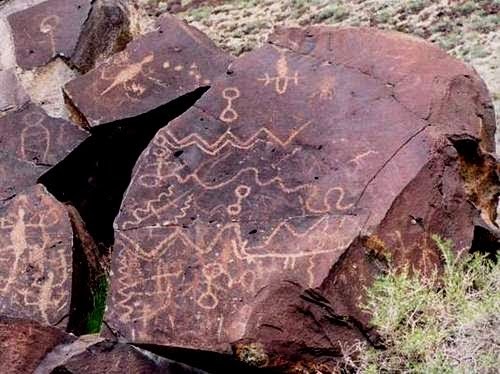 Intuitive design can tell us about traditional stories from our past. 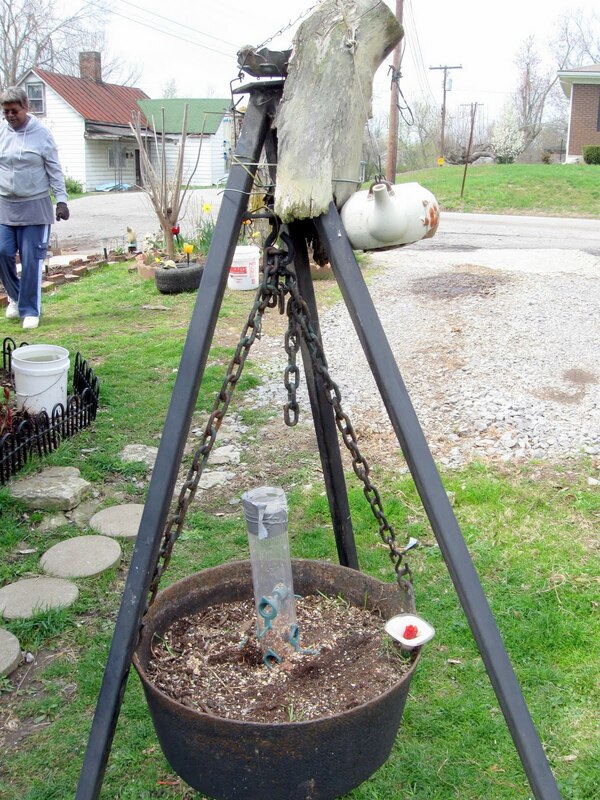 hanging circular teapot and natural root that tops it off..
African Amercan yard shows are a facinating topic. I would heartily recommend Places of the Spirt for its fabulous yard show photos. Also, two other books that are well researched on this subject are listed below. As planting time descends on us once again, look around your neighborhood for traditions that abound in many of their gardens. Abandoned Private Family Cemetery, Madison County, Kentucky. As I drive country roads in Kentucky I more than likely will spot a family cemetery sitting on some knoll. My home has an abandoned one located just east of me, another still cared for just west, all within close walking distance. 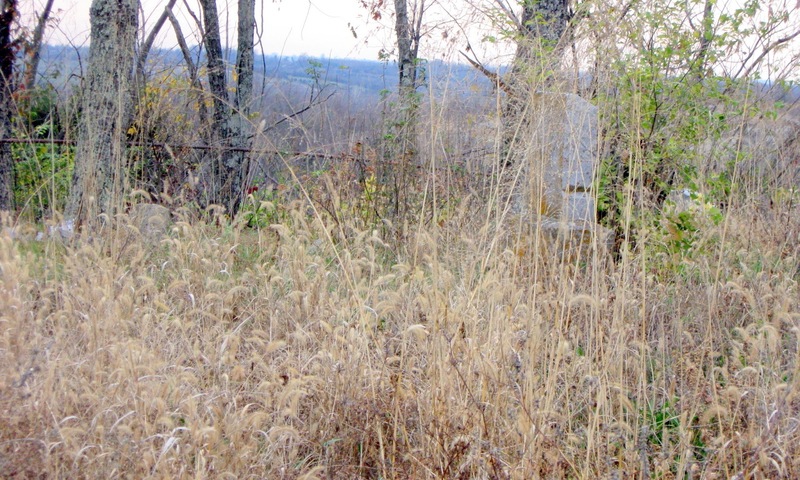 Kentucky has many small private family cemeteries that have existed for decades or centuries on rural landscapes. Today, they are found near existing homesteads or many times they sit alone on open acreage or in isolated woodlands. 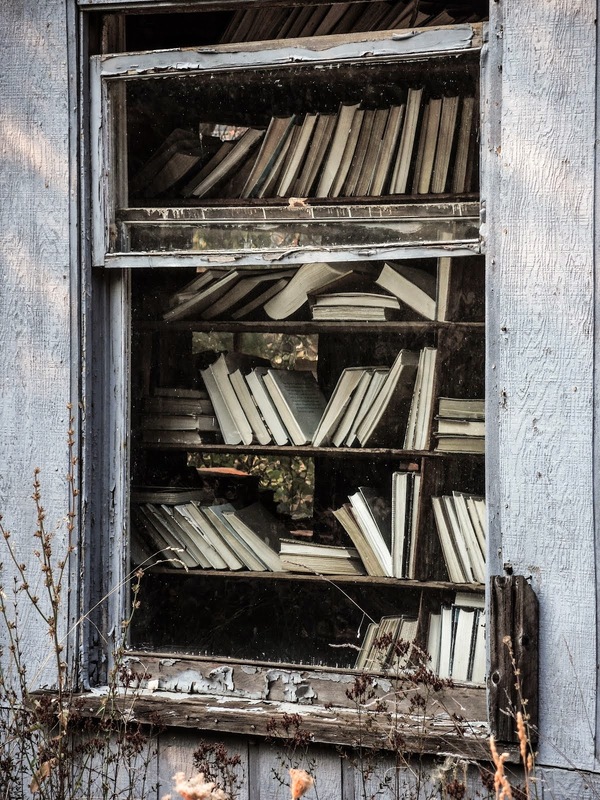 Kentucky family cemeteries, for the most part, are abandoned according to a Kentucky Task Force report on the Preservation of Kentucky Cemeteries, 2001. This report states that out of 2,157 private family burial grounds surveyed, 95% were found to be abandoned. The 2,157 number does not account for all private family cemeteries in the state of Kentucky. 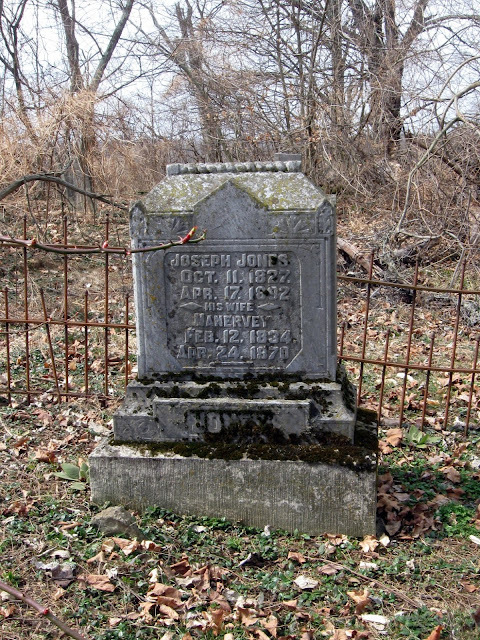 Today, the Kentucky Historical Society has a Cemetery Preservation Program that is continuing to comprehensively survey all cemeteries and burial sites in the state. You might ask what are the causes of abandonment? There are several; land development, deeds changing hands, natural overgrowth, vandalism, and families relocating. Families dispersing leave the cemeteries without caretakers. Kentucky law requires cemeteries to be protected within city limits. This requirement assures all types of city cemeteries will be cared for. Yet there are seemingly no real protections for the rural private family cemeteries that sit forlornly on their hallowed grounds. The only law that I know of is that a developer is legally responsible for moving grave sites to new locations if they develop the land. However, this law is often disregarded by developers. I do believe that private family cemeteries are a dying breed in Kentucky. I don't think anyone feels good about this. Yesterday, I started going through my old paperwork in preparation of my move to Utah. Within my paper files I found two items that had slipped between some of my papers -- an old collar tag from a dog of long ago and some primitive drawings made by my young granddaughter. These were nice finds and much beloved. I laid them aside to re-file later. Then I came upon an old school photo that had been missing for over twenty years. That photo is at the top of this post. 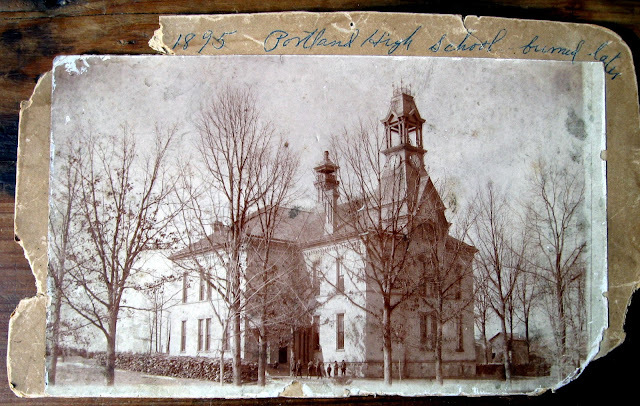 Someone's handwriting on the photo states, "Portland High", and a date of 1895 which I take to be the year the photo was taken. Following this information are a few seemingly afterthought words -- "burned later." This is all that is revealed about the old school. Now I never went to this school but I did at one time live in the charming town of Portland, Michigan where the school was once located. 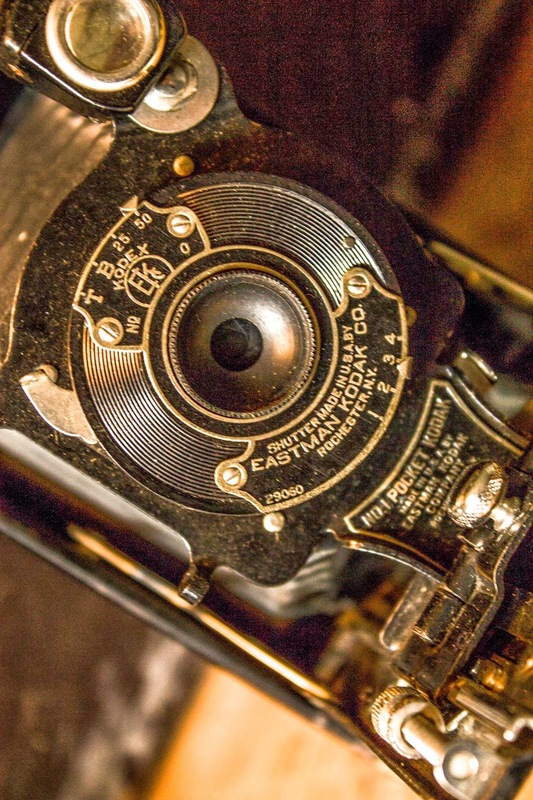 And while there, in my spare time, I became an antique photo collector. There was a flea market in small town Portland that always had groups of old photos for sale. You know the ones that are going for high prices now. Well, I used to pick them up for fifty cents up to the grand sum of maybe three dollars. It was fun to peruse through all the old pics and get a glimpse of the culture that was current, say in the mid to late 1800s -- dogs sitting on chairs, men in outdoor occupations, old store fronts, and circus performers from that bygone era. I even found a photo of the circus performers Tiny Tim and his wife with their signatures on the back of the cardboard backing. Little did I know that all of these photos would be so collectible in the future. Then I moved from this charming town. Far away to the west coast area. I carried my collection with me. After a few years I was in the throes of moving again. I cleaned out what I could live without and the photo collection was marked to sell. I sold them all to an antique dealer for what I paid for them. 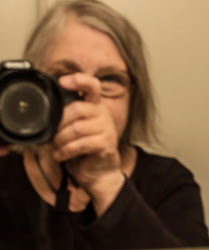 Many years later I became somewhat remorseful that I had parted with all of them -- not for the money sake but for their subject matter of common folkways. When I first found the above school photo in my papers yesterday, I smiled -- it was the only one left from all that I had collected while living in Portland. Now, putting aside remorse, it will serve as a reminder of the fun I once had collecting all those old photos of folks, animals and architecture of that long ago era.